The answer is no if you fall into the cliched trap of the aspiring screenwriter, i.e. talking about writing more than actually writing, not reading screenplays and preferring to watch movies rather than break them down, etc. However, if you follow the five steps below on how to start a screenwriter career, and you will be in with a chance. As we’ve said before, the biggest obstacle to aspiring screenwriters becoming paid writers is a lack of commitment. Once you make the commitment to be a writer, everything else falls into place. If you’re still working that 9-5, coming home from work and watching TV rather than writing, you haven’t made the commitment. If you’re still living in St. Louis because your on-off boy or girlfriend lives there, rather than move to LA, you haven’t made the commitment. Michael Arndt was working as an assistant to Mathew Broderick when he made the commitment to a screenwriter career. He decided that if he was going to ever become one, he was going to have to make some changes to his life. So he saved up a substantial amount of money and quit his job. Then he gave himself one year to just sit down and write. Every day for as many hours as possible. One year later, he had finished six scripts, one of which was called Little Miss Sunshine. If you’re young and without any big-time commitments, save up some money and spend all day writing. Give yourself a set amount of time. You can always get another job afterward. Or move back in with your parents and write. If this is what you really want to do and you’re in your 20s or 30s with no real commitment to anything else, just do it. Or you may find yourself looking back and regretting it. Enroll on a screenwriting degree and completely immerse yourself for two or three whole years in the world of writing. This is a very good step, but also out of reach financially to many people. If you can afford it, though, it’s well worth considering. A cheaper option, of course, is to take a part-time screenwriting course, but here’s our selection of screenwriting courses worth attending. 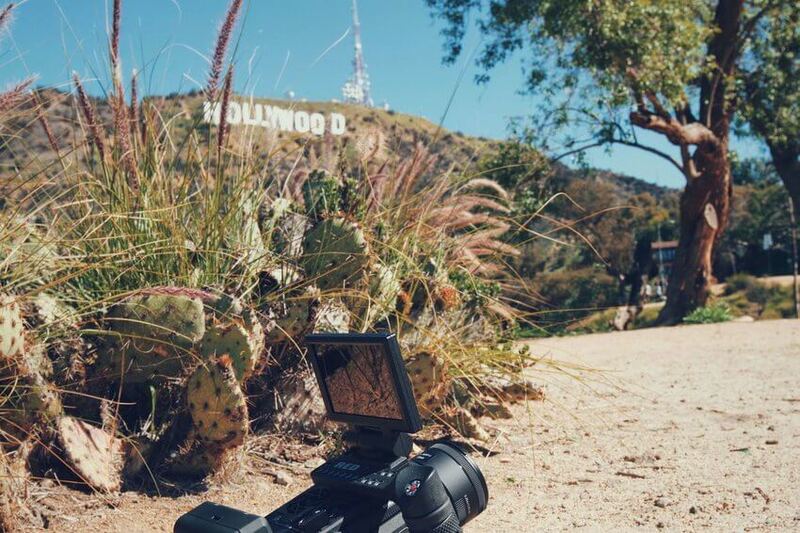 Moving to LA is probably the single best thing you could do to further your screenwriter career. This is where it’s all happening and you’ll feel inspired just being here. Plus, you’re much more likely to meet people in the industry who can help. Again, if you’re young enough, another option is to actually get a job in the industry as an assistant or intern. Yes, you’ll be working like a dog for five days a week and not feel like writing when you get home, but you’ll also be in exactly the right place to give your scripts to important people for them to take a look at. We realize that not everyone can make these kinds of decisions, but even if you’re a stay at home mom of four, or have some kind of hot shot job, you can still make a commitment to screenwriting. Finding time is not impossible. All it takes is some creative planning. Without a commitment to a screenwriter career, though, it’s just that much harder than it already is to get anywhere. Once you’ve made the decision to actively pursue a screenwriting career, we strongly suggest you whip up some goals for the year. First, start BIG. What’s your overall goal for the year? Where do you want to be with your writing twelve months from now? Be specific. Aim to have written a certain amount of screenplays, compiled a database of producers and managers, sent out X number of query letters, etc. A good way to help focus your goals is by setting yourself deadlines. You can use competitions as deadlines. Or book an appointment with a script doctor in X number of months. Give yourself day-to-day goals too. Some writers love setting themselves word and page counts while others just write until they drop. Whatever works for you, use it. And stick to it. There are no rules regarding daily goals. The most important thing is that you don’t go for more than one day without writing. Even if it’s for ten minutes. We all know the best way to improve as a writer is by actually writing every day. But there are other things you should incorporate into your routine besides writing if you want to master the craft and start a screenwriter career. True, but if that aspiring architect then goes home at night with a copy of Towards a New Architecture by Le Corbusier, we’d like to know how it’s somehow not helping. While there is obviously value in watching movies and reading screenplays, we fail to see what the harm is in reading a few books as well. As long as they don’t become a substitute for actually writing. Don’t listen to pro writers who slam screenwriters who think reading books can help their screenwriter career. Make a big list of the books you want to read and cross them off as you go. Here’s our list of what we consider the best screenwriting books you should read. This is by far the most important thing you should do outside of writing if you want to kick start a screenwriting career. You should be reading at least one professional script a week. Otherwise, you’re just attempting to do something without really mastering the craft from those who do it best. Immerse yourself in professionally written scripts and you’ll learn a ton about characterization, structure, how to write a scene and writing style. Most importantly you’ll learn how to create emotion in the reader from using only words on a page. This is what screenwriters live by, and there’s no better way than learning from those who obviously know how to do it. And read bad scripts too. You should be offering to read the script of every aspiring screenwriter you meet. You’ll learn how not to write a screenplay from these which is almost as important as the skills you’ll gain from reading professional ones. You’ll learn what not to do pretty fast, and that’ll help you no end in your own writing. Our post on 50 Of The Best Screenplays To Download And Read In Every Genre is a great place to start. And here are some sites where you can read screenplays online. 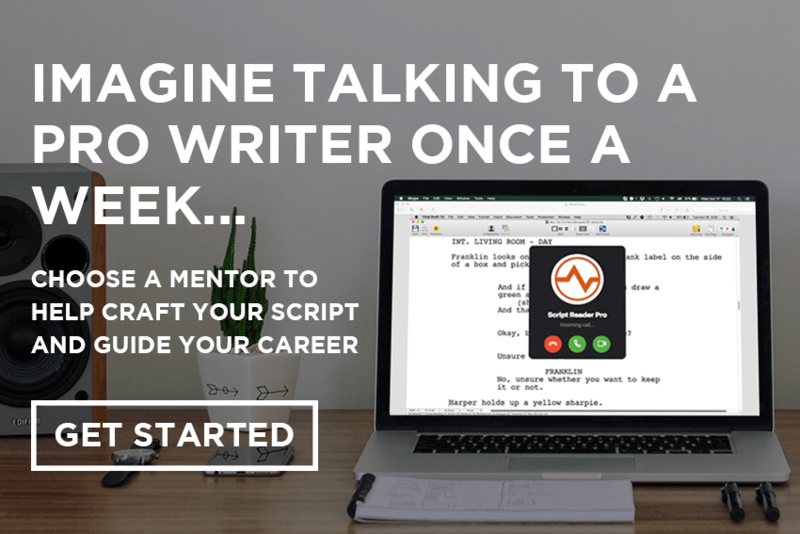 The days of just sitting down to watch a movie are over if you’re an aspiring screenwriter who’s serious about starting a scriptwriting career. From now on, you need to be writing outlines of films as you watch them. This is a great exercise, primarily in helping understand and master structure, but also helps with character and scenes as well. Sit down with a laptop and write exactly what happens on screen as you watch. It’s that simple. Each scene in a film fulfills a specific function, and it is this that you need to capture in your summary. Sentences should be short and to-the-point, describing only the basics of what happens and avoiding extraneous details. It’s a good idea to start with a location, as in “Outside the gas station” to set up the scene. Then, only the major beats need writing down. So you should never say how someone’s dressed, for example, unless it’s important. At the end of the movie, you should end up with a four to six-page outline. The next step is to break this down into its relevant acts and sequences. And that’s it. Write as many outlines as you can, but it’s probably best to stick to your chosen genre at first. By breaking down dozens of movies into outlines you’ll really get a sense of how your chosen genre works. File it away. Build a database of outlines and you’ll also have a great reference point for when you’re writing your own screenplays. This is probably the single biggest mistake aspiring screenwriters make when attempting to start a screenwriter career. Save yourself a ton of money, heartache and rejection by only sending out your screenplay when you’re sure it’s good enough. How do you know when this is, though? When you’ve sent it off to a friend who works in the industry or to a professional screenplay consultant and got at least a “Strong Consider” but preferably a “Recommend” grade on it. If you send your script off to a script reader or receive notes back from someone in the industry and get a “Pass” you know you need to work some more on your craft before approaching agents, managers, producers or even sending it off to screenwriting contests. 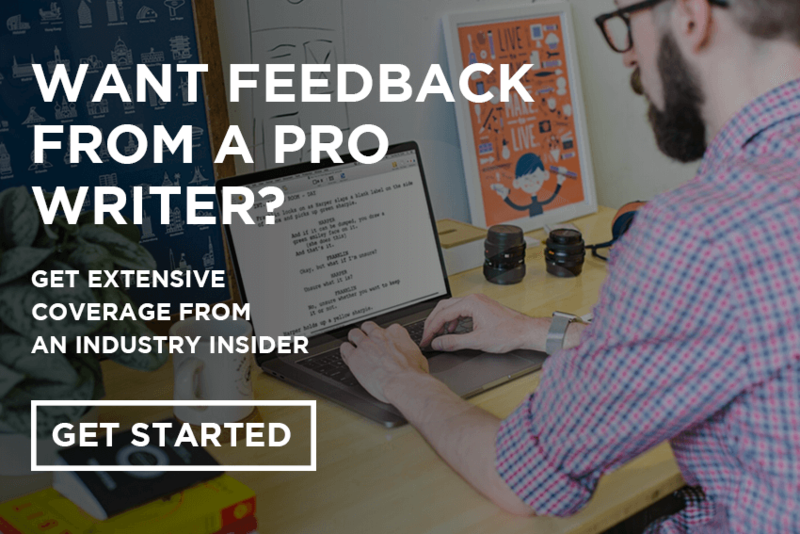 Once you’ve got one solid script that’s received favorable feedback from a working professional, you’re going to need to repeat the process with at least two more scripts. Never go out into the industry claiming you’re a screenwriter “with a great script” unless you have some other equally great screenplays sitting on your laptop as well. People in the industry want to discover great writers, not just great scripts. They want to see that you’re in this screenwriting thing for the long term and not living a 90s fantasy of selling a one-off million dollar spec. Aim to create a portfolio showcasing your best work. We advise sticking to one genre so people know how to place you in the industry. Positioning yourself as a Thriller Guy or a Comedy Girl is much more beneficial than as a jack-of-all-trades with a thriller, comedy, horror and reality TV show. Most importantly, though, don’t send out a terrible screenplay into the industry. Hollywood agencies and production companies log the scripts they receive. By sending something to them you’re leaving a permanent reference point for them to be able to look you up as a writer and see what you’ve already submitted. And that’s not good if it’s a script in which nothing of any significance happens until page 59. Step #5: Market, Market, Market! Many aspiring screenwriters have done all of the steps above while trying to kick-start a screenwriter career. They’ve made the commitment to write. They’ve mastered the craft of screenwriting and finished eight or nine scripts. They’ve even received positive feedback on them. But then they just enter a few contests… Show it to a friend of a friend who works at CAA… Or maybe join a dubious online script pitch service… And that’s it. Well, this may work if you’re lucky, but chances are it won’t be enough. In order to give yourself the best possible chance of going from aspiring screenwriter to working screenwriter, you need to market the hell out of your screenplays and yourself as a writer. Every day, writers with half of your writing ability are getting signed by agents, managers and getting their films produced. Not because they’re better writers than you, but because they’re better at selling themselves. This doesn’t mean you have to turn into a Glengarry Glen Ross-type salesy character. It means, once you have a portfolio of work, you need to become just as aggressive in your marketing strategy as the less talented writers who are getting deals. This means actually devising a marketing strategy in the first place. Again, you need to write down your goals and organize your contacts. Research all the places you could possibly send a script in your genre. Build up a spreadsheet of possible contacts to approach and a proper screenplay submissions strategy, involving setting goals and crossing them off. Your script may be the next Edge of Seventeen, but if you don’t actively get it out there (in the correct manner) who’s going to know about it? If you need guidance with all of this, another great option is to hire a mentor for your screenwriter career. Well, that’s our five-point plan on how to avoid becoming another aspiring screenwriter cliche. We hope it’s provided some inspiration to kick-starting your screenwriter career. Let us know in the comments section what’s the hardest aspect in your opinion of making the transition from aspiring screenwriter to working screenwriter? How far along are you on the road in your screenwriter career? I’m on step 2. Very encouraging article guys. Sorry, not sure what you mean? How do I start a screenwriter career? It is my dream please help.